← Quick Reminder to sign up. This beautiful morning was just ideal for our Mayor’s Tournament. 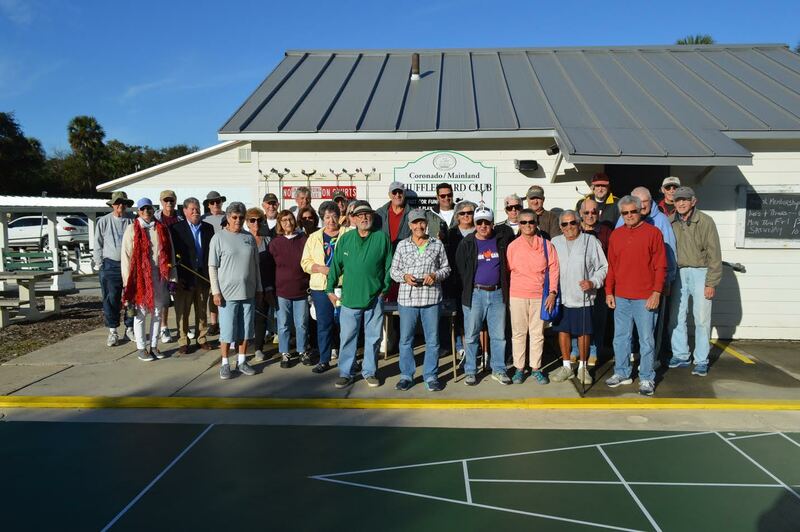 The usual clean up crew arrived early to set up our good-looking refurbished courts. Marguerite Fortier and Mary McConnell also arrived early to set up the kitchen. We’d like to thank Kimla Shelton from the City of NSB Parks and Recreation for supplying the donuts which we enjoyed with our coffee. Tom Carbonell called us to order by welcoming our Vice Mayor Randy Hartmann and Phillip Veski, the city Public Information Officer. We said a silent prayer for those who could not be with us and then we pledged allegiance to our flag. 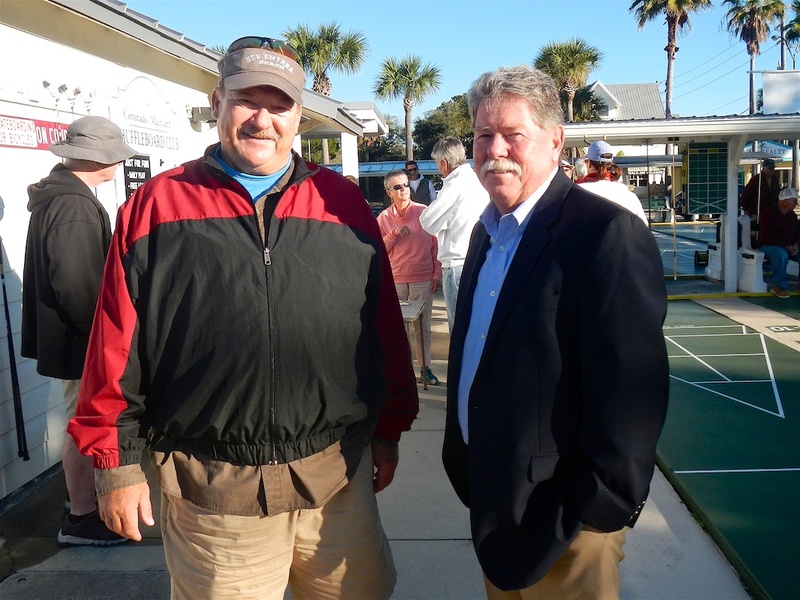 Dennis Buelk registered the players for the challenge while John Fortini coached Vice Mayor Randy Hartmann on how to play the game. A quick shuffle challenge between Randy Hartman and Pro Shuffler Felix Piscitelli ended with a remarkable tie. We had Fourteen (14) Pro/State Ams and Seventeen (17) Amateurs registered to play. Dennis explained the rules and we randomly drew courts and partners. We all played five matches with 12 frames each and registered the winning scores after each match. While we cleaned up the courts, Dennis tallied separate scores for thePro/State and then Amateur shufflers. 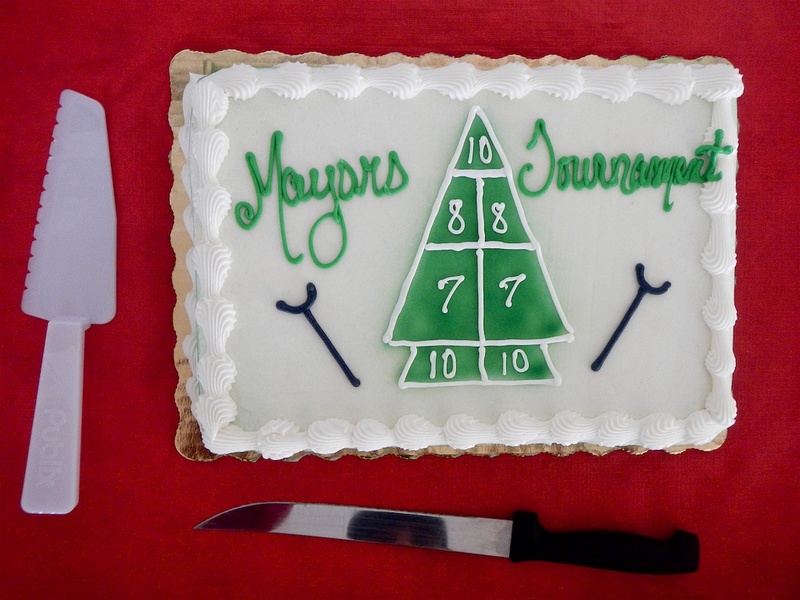 We all retired to the club house for a tasty lunch of subs, chips, drinks and a delicious cake supplied by the CMS club. Dennis read off the winners and paid out the winnings. Congratulations to all the winners and participants. 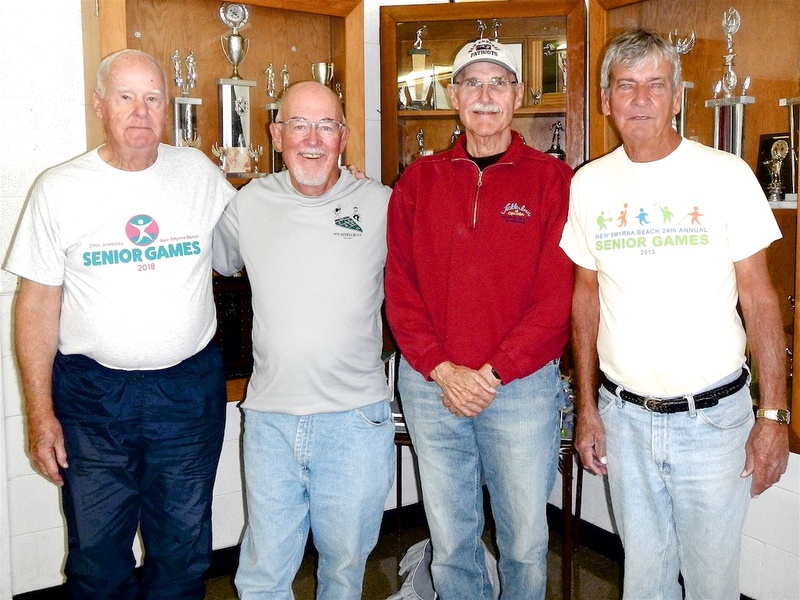 Pro-State Ams: First Place – Bill Boyes with 278 points; Second Place – Dennis Buelk with 238 points, Third Place – Bob Tager with 232 points (winning four matches) and Fourth Place – Randy Radke with 232 points (winning three matches). 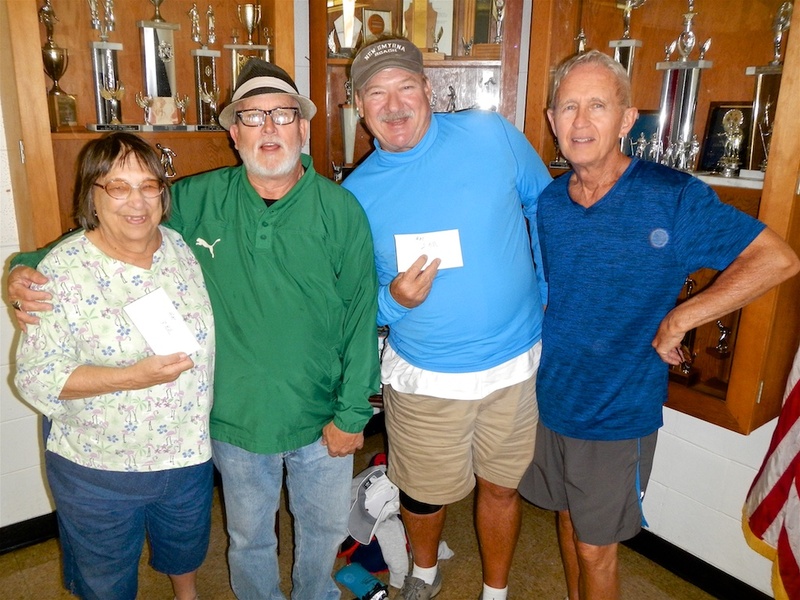 Amateurs: First Place – Tom Grubb with 270 points; Second Place – Tom Carbonell with 259 points; Third Place – Betty Buccini with 255 points and Fourth Place – Joe Kasben with 244 points. Thanks to everyone for making this event a really enjoyable and successful tournament. Hope to see you all back again next year. Ciao!